I started sports at an early age, learning to swim and run. I participated in IronKids triathlon in the late 80’s. In early adolescence I began to struggle with anxiety and depression and eventually started using drugs and alcohol to cope. I struggled through high school, getting arrested several times and living in constant turmoil both with myself as well as with my parents. There were several times when the mental pain and suffering I had created for myself were so great that I was VERY close to killing myself. Through my twenty’s my addiction to drug’s and alcohol continued to get worse. I was in more mental pain then ever and the drugs and alcohol weren’t providing the same escape as they did in the beginning. My relationships with family and friends were all strained and it was difficult to work. I was growing weary from the constant struggle, and eventually got to “my rock bottom”. I was fortunate that when I got to the point where I was willing to ask for help, I got it. I went to a good rehabilitation center and did some hard work looking at myself to find out what was driving my addictions. I began working on finding healthy coping mechanisms for dealing with stress and anxiety. Yoga, meditation and exercise became a very big part of my life. I spent a year practicing/teaching yoga, painting houses, meditating, biking and running. I have to say that was the happiest/least stressful year of my life to date. My relationship with my thoughts and the present moment became my primary focus and fear and anxiety were for the most part, a thing of the past. In 2007 my dad, who had continued competing in triathlons every year since I stopped racing Ironkids, asked me if I wanted to do a local sprint triathlon with him. I LOVED it. It made me feel so alive. I began more serious training almost immediately. Triathlon gave me direction, something to focus on, a goal. 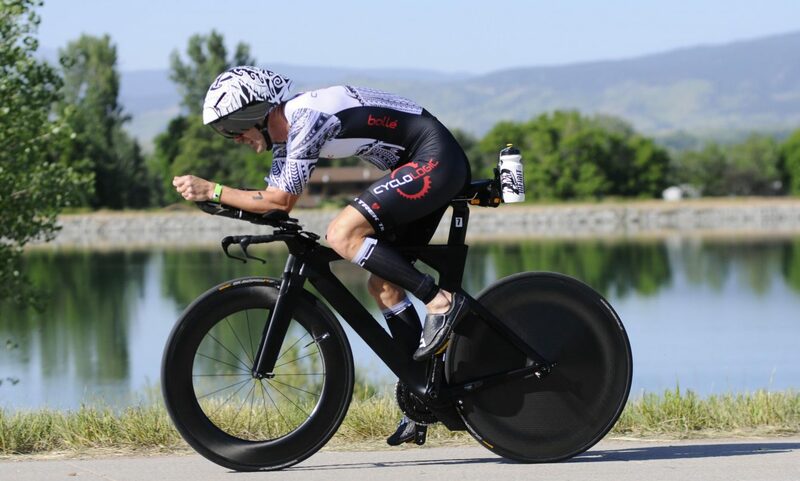 In 2008 I decided I wanted to race triathlons professionally. I definitely underestimated what it would take to achieve my goal. I failed at many races and the more I failed the more motivated I became to succeed. Eventually I realized it would take complete devotion to reach my goal. After 4 years as an amateur I was ready to race as a pro. 2012 was my first year racing professionally. I had some success but I realized that the motivation/determination that it took to get to this point was not going to be enough to succeed as a pro. I would have to become an expert in every area, mechanics, technique, strength, nutrition, recovery and the science of training in order to compete with the amazingly talented guys that I was up against. Racing as a pro is hard, and that is what I love about it. It takes an intelligent plan, good decision making, wisdom, unwavering dedication, constant sacrifices and the ability to suffer unbelievable pain and discomfort for fun. I may never win the world championships but each day that I am sober, that I spend training, doing what I love, is a victory for me. Racing is an exciting bonus, an opportunity to physically express my freedom and joy through the sport for which I have so much love. I’m 29, 3rd year in triathlon. My goal is to race as a pro in 2017, qualify in 2016. Your late start in the sport motivates me! It takes alot of work but if you are truly motivated there is no reason why you can’t do it!! Follow me at my next race! Unfortunately, after several weeks of being sick, I have decided I won't be racing IM Texas in just over a week.